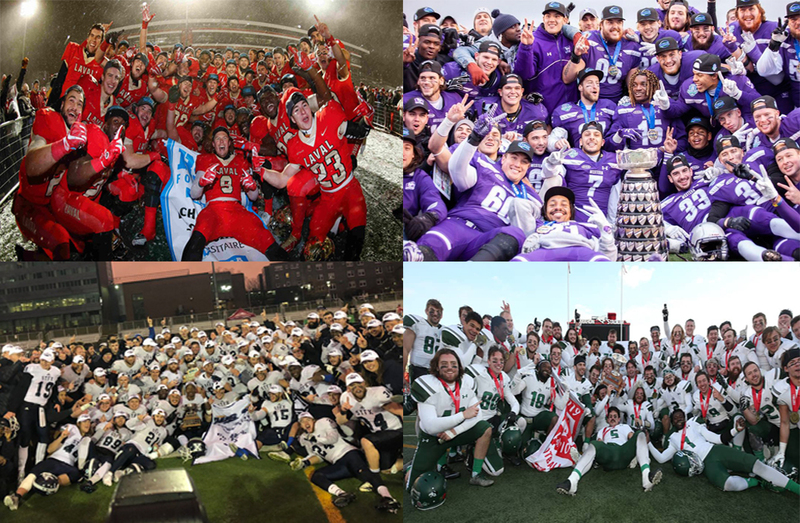 The Laval Rouge et Or will get the chance to play in the Vanier Cup championship game on home turf next week thanks to a resounding 63-0 Uteck Bowl triumph over the visiting St. Francis Xavier X-Men in the first U SPORTS football national semifinal, Saturday afternoon at TELUS-UL Stadium. According to winning head coach Glen Constantin, the game plan was to attack StFX’s pass defence.
? Glen Constantin, entraîneur-chef du @rougeetor ? 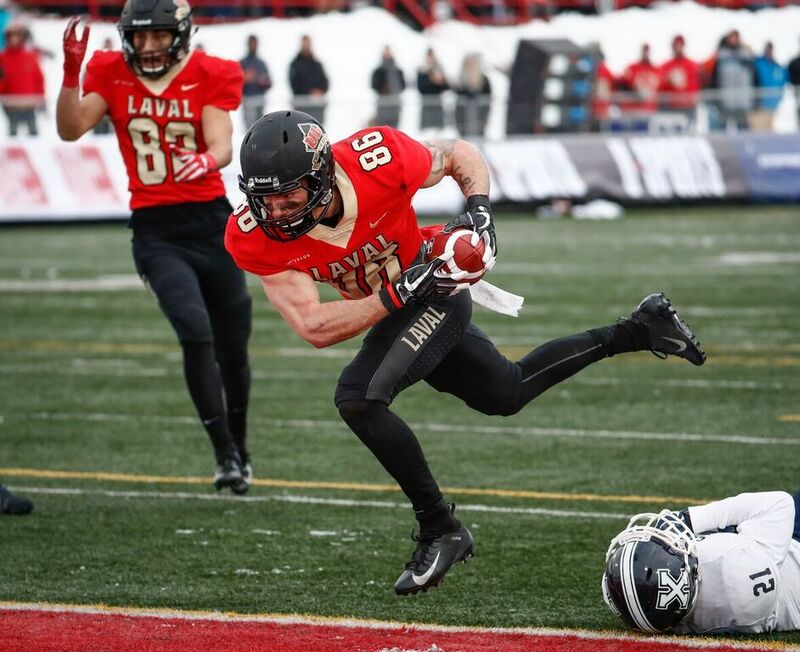 On Laval’s first two possessions, Richard hit Forbes-Mombleau for a 15-yard score 6:07 into the contest and Mathieu Robitaille from 28 yards out to make it 14-0 at the 9:08 mark. 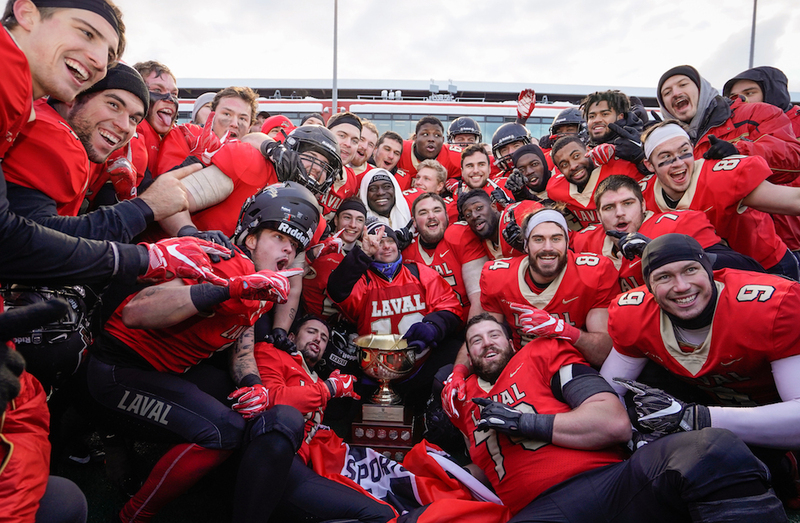 Things then got back to normal, however, and Laval piled up 16 more points in the final two and a half minutes before the break on a safety and Richard’s fourth and fifth TD passes of the afternoon, a 15-yarder to Mombleau and a spectacular 24-yard strike on the run to Benoit Gagnon-Brousseau. The second half was dominated by Laval’s rushing attack featuring backup running back Alexis Côté, who racked up 207 yards and three touchdowns on 23 carries after the break.